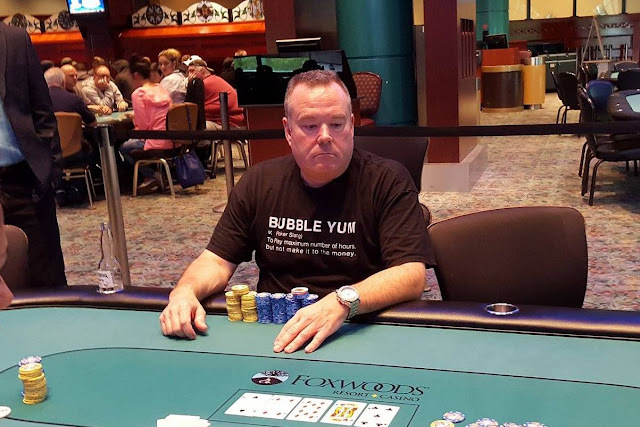 Facing a raise from Jason Calnan in the small blind, Tim Wright shoves all in from the big blind for around 200,000, and Calnan calls. The flop comes K♦5♣4♠ leaving Wright in the lead with his ace high. He maintains that lead when the turn comes the J♠, but the Q♥ on the river gives Calnan a pair of queens and Wright is eliminated in 4th place.